Our family has enjoyed watching the CCC of America's Saints & Heroes Collection DVDs for about 15 years now! In fact, the first video we ever watched and still love to watch was Nicholas: The Boy Who Became Santa. These short, animated, educational and high-quality DVDs have always been a great addition to our family celebrating the feast days throughout the liturgical year! 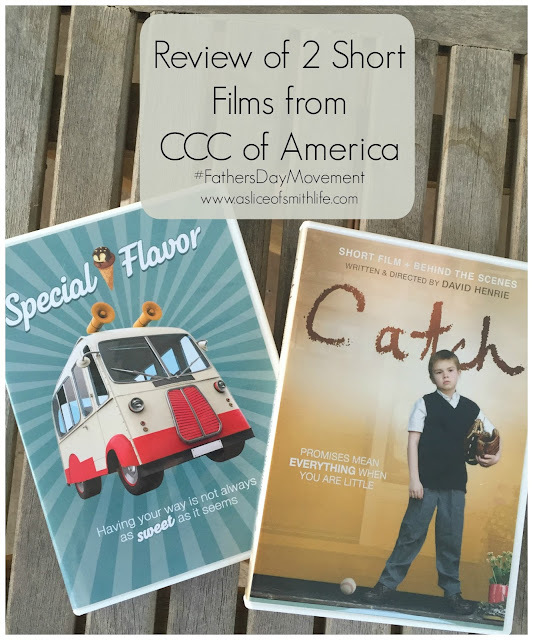 Besides the Saints & Heroes entertaining collection, CCC of America also sells short films. Their most recent releases are titled Special Flavor, which teaches the virtue of obedience and Catch, a short film written and directed by David Henrie. Both films are produced by a company called Project 36. One evening last week our family sat down together to watch both films, which included my husband and four out of five of our children ages 2, 8, 12, and 14. "A disobedient boy gets a special flavor ice cream that makes his parents obey whatever he says. Struggling with authority, Tom is given a chance to learn what it means to take control. After encountering an ice cream man with a special flavor, his strict father and distant mother are at his beck and call. Watch what happens 27 ice creams later!" 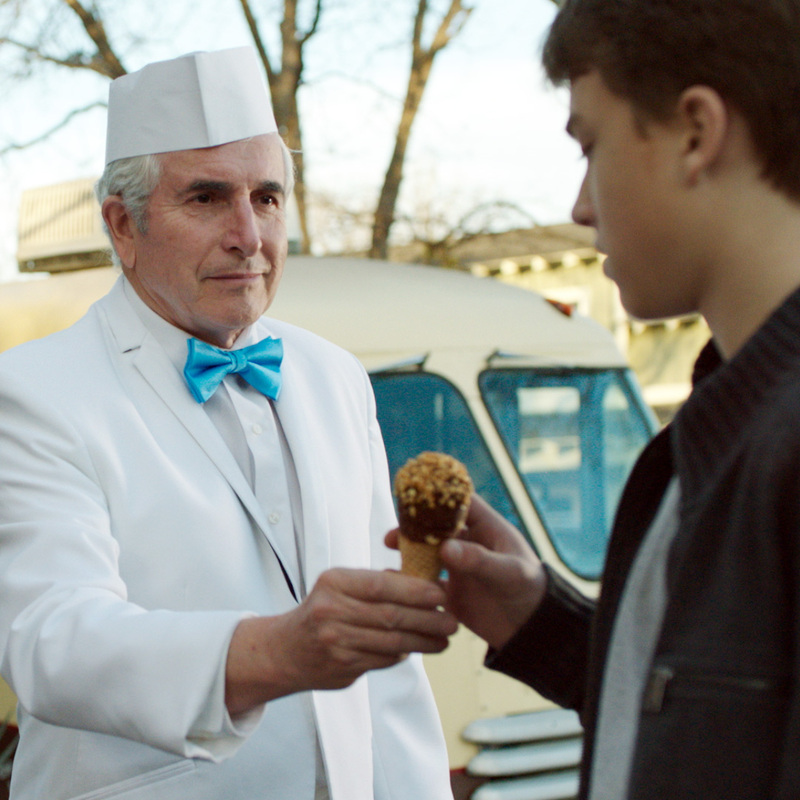 The teen's life appears to be a drab (in his young mind, at least) until he meets up with the ice cream man in front of his house who shares a special flavor of ice cream with the boy with a promise that the boy can now tell his parents what to do. There are humorous parts as things get out of control fast for the boy and his entire family and the care-free life void of any responsibility and authority begins to take a toll on the teen's conscience. The teen then realizes how his irresponsible behavior and actions not only affect him, but others around him. By the end of the film that moves quickly due to the short length, the viewer sees that he has learned the importance of obedience and why parents use their authority to raise virtuous children. My 8 year old daughter thought the ice cream man reminded her of the devil since he was constantly trying to entice the teen to just take one more ice cream cone so he could enjoy his freedom without having to obey his parents. We all agreed with her and I was pleased that she was able to relate this short, light-hearted film to the reality of how satan tempts us and tries to make good look evil and evil look good. "... an inspirational short film about fatherhood and the value of quality family time. It delivers a strong punch to busy parents who make promises they can’t keep. This 11 min short film focuses on family and what fatherhood really means. Just maybe, this could be the start of making everyday….Father’s Day!" Our family also enjoyed viewing the the behind the scenes commentary about Catch. 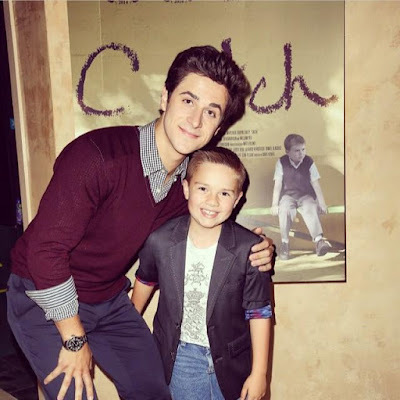 We were impressed that David Henrie, the writer/director, and many other young adults on his team committed so much of their time and talents to produce a film that encourages families and fathers to take time with their children. In today's world, we need more positive messages that David Henrie so beautifully and successfully portrayed through digital media! Besides the wonderful lessons taught in each film, I loved that they both could be enjoyed by all family members, no matter the age and that they gave our family the opportunity to spend special, quality time to talk about what we saw. Special Flavor and Catch inspired our family to make positive changes in our home and we think they can be tools to encourage all families to do the same! If you are interested in purchasing these films and/or any other DVDs in CCC of America's vast selection, now is the time with their 60% off summer sale going on from June 15-July 15. Use discount code: SUMMER60 at checkout! Awesome deals on faith-filled and fun family entertainment! Check it out! I was provided with complimentary review copies of these DVDs by the distributor, CCC of America, in exchange for my honest review. For more information on Special Flavor and Catch, including their trailers, visit CCC of America. You can also visit Project 36 to see other projects the team has been working on.